The Pennsylvania Democratic Party is officially split over the issue of using hydraulic fracturing to drill for natural gas. This much is clear from a letter, signed by eight Democratic State Senators, to PA Democratic Party Chairman Jim Burn. 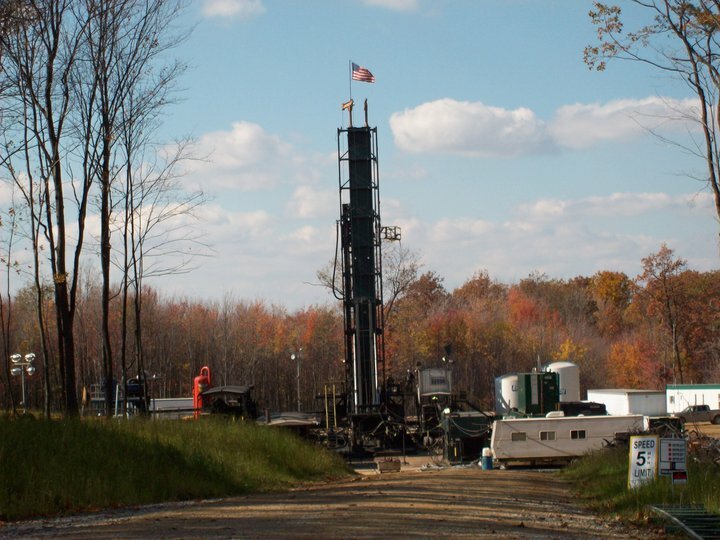 This missive from the Senate concerns a resolution that was passed by the state party’s committee last June that called for a moratorium on drilling for natural gas in the Marcellus Shale. The vote followed years of party infighting over whether to call for a moratorium. The resolution passed the committee by a vote of 115 to 81. The Marcellus Shale is a large bedrock with deep natural gas reserves that spans several states and covers most of Pennsylvania. The letter was signed by several party leaders from across the state, including Democratic Appropriations Chairman Vincent Hughes (D-Phila), Democratic Whip Anthony Williams (D-Phila), and Caucus Chairman Richard Kasunic (D-Fayette). 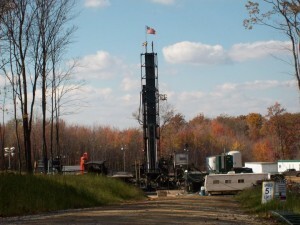 “The recent vote of 115 to 81 by the Democratic Party of Pennsylvania to support a moratorium on hydraulic fracturing in the Commonwealth has left us a bit dumfounded [sic] as to why members of the Democratic State Committee would base such a strong stance on myth and misperception,” the Senators wrote in their letter to Chairman Burn. The Senators also attempted to assure opponents that drilling methods would be safe and pose no danger to the environment. This note from state Senators is remarkably similar to another letter that was sent to Chairman Burn by eighteen members of the PA House Democratic caucus. When asked to comment, Chairman Burn tried to deflect the controversy onto Gov. Corbett. Several other state Democrats, however, have backed away from the resolution. Three Democratic candidates for Governor, including two former Environmental Protection Secretaries, have opposed a moratorium. The issue of “fracking”, the term used to describe the method of extracting the natural gas, has become a major focus of environmental groups which assert that fracking pollutes water supplies. These groups were galvanized by PA native and filmmaker Josh Fox’s documentary “Gasland”, which was nominated for an Academy Award in 2011. Natural gas drilling has nevertheless retained the support of most of the party’s elected officials both in PA and nationwide. For these officeholders, natural gas is an expanding industry that can supply needed jobs and allow the country to transition off from oil, which is heavily imported from other countries. As mentioned in both letters to Chairman Burn, among the supporters of natural gas drilling is President Obama, who reiterated his support as recently as this June in a speech on climate change. “We’re also producing more cleaner-burning natural gas than any other country on Earth. And, again, sometimes there are disputes about natural gas, but let me say this: We should strengthen our position as the top natural gas producer because, in the medium term at least, it not only can provide safe, cheap power, but it can also help reduce our carbon emissions,” the President said. As long as natural gas remains a contentious issue in the Democratic party, Pennsylvania is likely to remain the central battleground. Good answer back in return of this query with genuine arguments and explaining the whole thing regarding that. hello!,I like your writing so much! proportion we keep in touch extra about your article on AOL? on TV, therefore I just use web for that purpose, and get the newest information. about this, what if you were to write a awesome post title? shout out from Dallas Tx! Just wanted to tell you keep up the excellent job! @KSJW — spoken like a true Blue Dog …..errrr…..Republican. The State Committee by a majority vote deems a moratorium to be in the best interests of the citizens of Pennsylvania. Politicians find it inconvenient to be put to the test of logic in dealing with an issue that can raise serious opposition to their general candidacy – so kill the messenger. We are elected to serve as the custodians of the Party and the makers of resolutions are stating the opinions of our members on issues of concern. At Primary Elections people pick the candidates and we are bound by their votes to support that candidate until the election on candidates. We are not bound on any one person’s campaign relative to our duties to speak as a Party on issues of concern. A party is not just and endorsement mechanism for candidates. It is a place where we come to a consensus on issues of importance and where candidates may differ with our consensus by presenting us with facts to alter our opinion to get our endorsement or they may just endorse our opinions. Either way we will vote on supporting them by a consensus on their ability to win and their position on issues. Thus, the fuss made about our study and resolves on issues is being fought not over whether those who oppose our position can make their case that we should not be concerned about Fracking. It is being fought as to whether it is inconvenient for those who oppose our position to bring us enough information to make our decision change! As a singular member I am not here to make it easy for any candidate to win. I am here to assure that this Party makes sensible decisions based on facts when it comes to the health of our families in PA. The monetary rewards are short term the damage to our water supplies can be long term and irreversible. The personal words of candidates or people who will gain political power by being elected are not my concern as an elected State Committee member. My singular concern is that this Party represents the citizens and search for candidates who represent the citizen’s interests as closely as possible to our resolutions on issues. I personally cannot believe that this Fracking is harmless when we have laws and proposals that let my doctor know what chemicals are being used; but if he treats me he is lawfully excluded from telling me what poison he is treating me for. It is sane to ask for a moratorium until that illogic can be treated with the seriousness it deserves. A Blue Dog Democrat is really an in the Closet Republican. The Democratic Party must purge the Blue Dogs so that it can truly be a liberal party. Contrary to the assertion in the letter from the group of 8 Democratic state senators that those who voted for the resolution only did so based on myth and misperception, Sue Lyons, the author of the resolution and chair of the Monroe County Progressive Democrats, also authored a list of myths about fracking with over 40 sources – none of which is Gasland, by the way – that among other things proves the environmental threat that fracking poses. Hughes and other Dems who signed the letter: did you see the facts and information compiled by Sue Lyons, handed out to Democratic State Committee members to educate them before the vote? Or do you have nothing but the myths and misperception in favor of fracking that its corporate overlords paid you to have on the tips of your tongues? I encourage everyone to read Robert Vickers detailed report. Outstanding piece of journalism. Reading it one cannot tell which side he is on or even if he has an opinion. That is as it should be. Clearly this author wants to send a message to Democratic hacks and county chair that Marcellus Shale Moratorium moves money and votes in the wrong direction. This vote was a most generous gift to Tom Corbett. However, his block headed advisers will, likely, not miss the opportunity to miss the opportunity. A Marxist Leninist opposition to bourgeois capitalism infuses a large segment, even a majority of Pennsylvania’s very liberal Democratic Party and Organizing For America, supported by radical left wing SEIU and the Sierra Club, and effective executes the principles of the Marxist Alinsky’s Rules for Radicals. The Ideologues Left Wing Sierra Club Intelligentsia, mostly in southeast Pennsylvania and in tax exempt non profit taxpayer subsidized mega universities combine with union opposition. Most of natural gas drillers, perhaps all, are non-union. All are capitalists. The exploitation of resentment, grievance and envy (combined with exploitation of racism) wins elections as was proven on November 2012. The elected Democrats realize, however, as Ed Rendell, presciently, did that supporting a moratorium means all the natural gas money goes to Corbett (as it should given his leadership on this issue) and it becomes life and death for gas companies. There is a reason that Marcellus Shale spokesperson and his cadre of Comcast billionaires are supporting Tom Corbett. Marcellus Shale drilling and production are growing Pennsylvania’s economy and raising the standard of living for all. 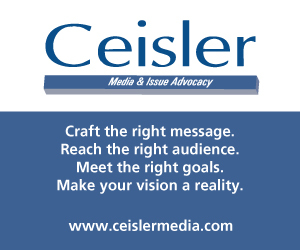 Governor Corbett has led on growing Marcellus Shale production in Pennsylvania by refraining from policies that discourage Marcellus Shale natural gas drilling and production which lower energy costs, create productive jobs and raise standard of living for all. The Commonwealth’s proper role is Traffic Cop neither an enabler nor prosecutor. No one has died or even bee sickened by Marcellus Shale hydraulic fracturing, horizontal drilling technology. There is more of a chance of being hit by lightening in Pennsylvania than injury from natural gas drilling. Is it reasonable to infer that any candidate, in particular, Allyson Schwartz will not get the Democratic State committee endorsement if he or she does not support the moratorium? That’s not so bad. An unendorsed primary means the Democratic voters will decide who to represent them. Republican State Committee has not learned this lesson. On the other hand, despite this bungle and it was a bungle, never underestimate the incompetence of the Rs. Rob Gleason, John Brabender, Leslie Gromis-Baker are the D’s best weapons. Imagination is not they. 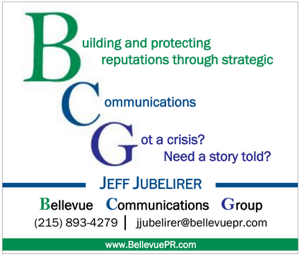 Someday I will tell you how Ryan Shafik and I learned that Robert Jubelirer was vulnerable and how Leslie Gromis-Baker and every hack in Pennsylvania put a lot of money into losing because they would not listen. Elmer Bradford you are obviously an idiot. How do you make the statement “Any Democrat candidate who is against the industry is against PA.”? Any person who supports this parasitic and criminal industry is clearly either paid off by the industry in some way, or is simply stupid and has bought into the PR that the industry puts out. This is the biggest threat to our health and the health of our environment in decades and you are unwilling to see it. Stop being short sighted and look to the future. How do you look your children or grandchildren in the eye and say you care when you are selling out their future and condemning them to live in a poisoned world? @True Blue, please step out of your OFA office and visit Western and Northern PA. I think you don’t realize how many Blue Dogs you’ll lose on this environmental BS. RE: the above comment; What has natural gas done for Pennsylvania? You didn’t specify. Any advantages or gains in employment or profit from natural gas will be short-term. In the long term, the lasting effects will be the contamination of our ground water, destabilization of deep layers of rock, and contamination of wells and our environment by the toxic byproducts of fracking. It’s not worth it. What a DISGRACE!!! All of these so-called Democrats need to be primaried because its clear that they neither care for environmental protection nor do not represent the official stance of the Democratic Party. Most likely they all have been bought-off by billionaire fracking supporters and the gas industry. Why else would these so-called Democrats so irresponsibly disregard the public interest and safety of our environment. This is typical from Anthony Williams who is a sad excuse for a Democrat. When it comes to principles this guy has none. The only reason this guy is a State Senator is not because he’s qualified but because his corrupt daddy gave him his seat. And he excepted dirty Republican money from school voucher supporters in order to raise his profile in a failed bid for governor. Now there talk of this moron running for mayor of Philly. With elected Democrats like Anthony Williams its no wonder Philadelphia is in the sorry shape that its in. Any Democrat who supports fracking needs to be ousted from office. These people are a disgrace. Elmer Bradford must not realize that the southeast already has a moratorium in place by law that was introduced by Republican senators and passed into the fiscal code for the 2012-13 budget. It suspends Act 13 and affects Montgomery, Bucks and parts of Lehigh, Berks and Chester counties. The moratorium will affect any oil or gas operations in the South Newark Basin, which underlies a swath of territory extending from Bucks through MontCo and into Berks County. So not all Republicans think that fracking is so all-fire awesome and safe. So, I guess not everyone agrees with you. The observer must be from the Southeast because that is the only place that does not understand what natural gas has done for PA. If the Dems dont get this right, Corbett will get be in the 70s outside of the Philly market. Any Democrat candidate who is against the industry is against PA.
You should print out the names of EVERY signer of those letters, so voters can see who has been bought and paid for by the Fracker industry. Those letters are ALL about money – there is simply no controversy whatsoever about the deleterious effects fracking and methane discharges have on the environment. The fact that McGinty and Hanger back fracking just shows why our DEP has been silent on the issue – they and Obama get big bucks to shut up.